This is a comprehensive list of all Inpatient Rehab services in Pomona CA. Click on any listing to get detailed information about that Pomona California Inpatient Drug Rehab. Inpatient Rehab Pomona California - Substance abuse treatment, Detoxification, Halfway house for Inpatient Treatment. 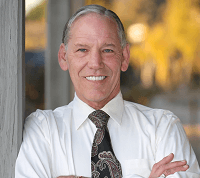 Inpatient Rehab Pomona California - Mens and Womens Sober Living for Inpatient Treatment. Inpatient Rehab Pomona California - Drug Rehab, Alcohol Treatment, Inpatient Drug Rehab, OutPatient, Substance Abuse Treatment, and Residential Treatment for Inpatient Treatment.